Stories, tips, and strategies for connecting with nature! Check it out! This workshop will be interactive and experiential, providing attendees with practical and effective strategies for integrating nature into counseling with persons of all ages and backgrounds. Workshop emphasis areas include clinician/nature worldview and self-awareness, the ethical parameters of working with clients in outdoors settings, theoretical integration and intervention, and EcoWellness cross-cultural applications. Sign up for an EcoWellness Seminar June 24th! Register by Wednesday June 9 to save your space! This event does not necessarily reflect the mission/opinion of the Central Oregon Environmental Center. Check out the third part of this article, which can be located here. This past month I shared the first installment of ‘Counseling Defined.’ As I mentioned in that article, counseling can be a confusing profession to the consumer, especially when there are several other similar fields. I shared my perceptions of what counseling is and what qualifies a person to be a counselor. This month I’d like to share some basic similarities and differences between counseling and a few other similar yet distinct fields (i.e., psychiatry and clinical psychology). Counselors engage in talk therapy and are trained to view clients from a holistic paradigm. While most professional counselors utilize mental health diagnoses, the client’s diagnosis is viewed as just one factor in working with a client. Counseling is all about working toward optimal mental health and development, NOT merely symptom reduction. Counselors must complete a masters degree at minimum to practice and must receive 2,400 hours of supervised clinical hours before coming fully licensed. Some counselors also complete their PhD (‘Doctor of Philosophy’), which allows them to focus on research as well as clinical work. Psychiatrists are physicians (professionals that attend medical school) specializing in the treatment of mental health disorders. They apply a medical model in diagnosing mental illness and prescribing medication in hopes of managing symptoms of whatever the particular mental illness may be. I have encountered some psychiatrists that also provide talk therapy or counseling, but most I have met engage primarily in medication management. It is important for you to know that your primary care physician can also prescribe you with medications that manage symptoms of mental illness. In addition, in the state of Oregon, both nurse practitioners and physician assistants (masters-level medical practitioners) can prescribe medications that manage mental health. Clinical psychologists receive their PsyD or PhD. A PhD has a strong focus on engaging in scientific research and a PsyD or ‘Doctor of Psychology’ has a much stronger focus on clinical application. I believe that clinical psychologists receive stellar training in psychological evaluation, assessment, and applying a medical model in diagnosing and treating mental health disorders with talk therapy. I often refer my clients for psychological evaluation if they need clarity on a specific diagnosis, needing one for work, or required to receive an evaluation for a legally related issue. How do I make sense of this information? The research is pretty clear: in the treatment of specific mental health disorders (i.e., depression, anxiety, etc.) counseling combined with medication management is more effective than either alone. But the decision to explore counseling or medication is ultimately up to you. Effective counseling can take time and a lot of effort, and so can finding the right medication and/or dosage. If you or a loved one are experiencing mental health challenges and you aren’t sure what’s going on, there are a variety of paper/pencil assessments that can be very helpful in diagnosing a problem, should one exist, and contacting a clinical psychologist can be helpful in clarifying the issue. Consulting your family physician or a psychiatrist can also be a good starting point to rule out any medical concerns that might be causing discomfort, but if you desire to work through mental health challenges without medication and want to engage in talk therapy, contact a counselor. I hope this write-up was helpful in sharing some of the general similarities and differences between the helping professions. There are other mental health practitioners I didn’t discuss here (i.e., social workers and counseling psychologists) and there are definitely exceptions to what I have written. Some counselors treat symptoms with talk therapy, some psychiatrists engage in talk therapy, and many clinical psychologists provide holistic counseling services. So, be sure to do your homework. Tune in next month for another installment of counseling defined! Check out this article in Vogue Magazine. The human-nature connection relative to health and well-being is hitting the stage! Counseling can be a confusing profession to the consumer, especially when there are several other similar fields. I want to spend the next few blog posts focusing on what counseling is and what it is not to help you determine if and when seeking out a counselor (or a different helping professional) might be right for you or your family. In this first installment, I’ll focus on what counseling is and what qualifies a person to be a counselor. According to the American Counseling Association, professional counseling is defined as a “professional relationship that empowers diverse individuals, families, and groups to accomplish mental health, wellness, education, and career goals.” The field of counseling can be differentiated from some of the other helping professions (i.e., psychiatry) given its clear focus on client wellness. It is true that many counselors use mental health diagnoses, especially when insurance is involved, but the client’s diagnosis is viewed as just one factor in working with a client. Rather than labeling a diagnosis as ‘good’ or ‘bad’, a diagnosis is contextualized in a person’s life circumstances. Counseling is all about optimal mental health and development, NOT merely symptom reduction. Be sure to ask your counselor how he or she uses diagnosis in their practice. In my very biased opinion, effective counselors are experts on the process of helping clients grow and develop, and are open to providing services that honor a client’s unique values and worldview. Professional counselors earn at a minimum a masters degree in counseling. These programs are typically between 2-3 years in duration with an emphasis on viewing clients from a wellness perspective. Counseling students receive rigorous supervised experience prior to graduation and in the state of Oregon continue receiving supervision from a credentialed supervisor post-graduation until they reach a minimum of 2,400 supervised client contact hours. Be sure to clarify whether your counselor does or does not have at a minimum a masters degree in counseling and are registered with the Oregon Board of Licensed Professional Counselors and Therapists to practice under the guise of a counselor (see www.Oregon.gov/oblpct). Actively ask your counselor about his or her training and how they approach counseling. Be sure to know what you are getting yourself into! Counseling is for everyone and not limited to persons who may possess a diagnosable mental health disorder. It is intended for persons wanting to clarify their values, work through difficult life transitions (i.e., loss of a loved one, divorce, losing a job), discover who they are and/or want to be, and a host of other individually defined reasons. Good counselors help you come to your own answers and don’t give you advice. They can assist you in uncovering challenge areas or blind spots and work towards self-acceptance and genuine change. Above all, counseling can be a place where you experience both support and challenge in an environment lacking judgment. If you ever do feel judged by your counselor, attempt to talk or work through any possible miscommunications. If you continue to feel judged, find someone else. Remember, this is about your growth, not pleasing your counselor. Next month I’ll share my understanding of a few basic similarities and differences between counseling and a few other similar yet distinct fields (i.e., psychiatry and clinical psychology). Bear in mind that not one field is better than the other and each plays a unique role and purpose for your mental health and wellness. Check out this recent article published in Cascade Business News. Sometimes healing can happen in the places we least expect, which paradoxically may be the places we get it the most. Enjoy! Here is a link to a recent article I wrote in Cascade Business News. I sometimes work with people who want to be 'perfect.' And, if there is one thing I have learned in my own life, I'm anything but perfect. In fact, I have yet to meet someone who lives up to her or his own standard of 'perfection.' Owning our mistakes is hard, but if we can come to accept them, the more we can come to accept ourselves (and others). Taken near North Sister at sunrise by my friend Colin. Have you checked out a sunrise lately? Check out the following Huffington Post article (thanks to my friend and colleague, Kellyn Smythe for posting): Huffington Post Children & Technology Article. I think the author makes some good points about the use of technology and the possible negative effects of technology on our children, though I disagree with the language of "banning" technology with youth. In my experience, finding a common ground is important, otherwise most people (especially youth!) don't listen. My suggestion: be intentional with how much technology you allow your child to use and manage the use of technology in your home. The one point I want to drive home is that if you expect your child/adolescent not to use technology or to limit their use, then hold yourself accountable for how much you use it for recreational purposes. If you are on your cell phone 10 hours a day monitoring Facebook or playing a game, then your child is going to learn that is normal. Practice balance in your life and share an expectation in your home for how much technology is used and why it is used, whether it be for business and/or pleasure. Best wishes as you work toward the balance we all need in our lives to feel well and content! Hope everyone is well and enjoying the summer! I am getting going with a 'Fishing for Wellness' project. I have already incorporated elements of fly-fishing into the practice, but watch out for a fishing for wellness post in the next month that will describe an upcoming group focused on improving your fishing skills through connecting with and improving yourself! Check out this article written by Tyler Leeds in the Bend Bulletin, published on May 12. Tyler highlights the application of EcoWellness with adolescent youth in nature. EcoWellness in Central Oregon Magazine! Check out a little write-up in the Spring issue of Central oregon Magazine. Get out and enjoy spring! Mindfulness in Central Oregon...or wherever you may be! Many wellness strategies are rooted in mindfulness, which is the non-judgmental experience of the moment. Mindfulness includes a focus on the present, here-and-now experience in lieu of engaging the thoughts and feelings that often bother us and take us away from the immediate moment. These mind-absorbing thoughts frequently tend to focus on the past or the future, but rarely involve the present. For example, if you were standing at the river’s edge at Old Mill and you were attempting to focus on a large boulder that lay slightly submerged underneath the water’s surface your mind most likely would wrestle with yesterday’s happenings, today’s concerns, and tomorrows anxieties. There is nothing wrong with the thoughts in and of themselves, but constantly ruminating on our thoughts can cause us to experience a variety of negative emotions that can include symptoms of stress, which inevitably impact our contentment with life, mental and physical health, and satisfaction in relationships. In my experience, the more we can learn to embrace the moment (i.e., mindfulness), the more we can create sustainable contentment for ourselves. Let’s say you were standing by the water’s edge in the example above. You just got out of a meeting and experiencing a great deal of stress. Your boss really came down on you regarding your recent job performance; your spouse is feeling angry with you because of your in-laws’ upcoming and unannounced visit; and you dislike yourself right now because you gained a few pounds. These invasive thoughts and associated feelings can be treated like the river. You notice the thoughts, but you experience them in a way that lacks judgment. You can see the thoughts and feelings meander towards you as they flow down the river, but when they present themselves a conscious choice is made to allow them to flow by instead of engaging them. Before you know it, your focus turns to the immediate moment and to the rock and surrounding river. You concentrate on the rock, its colors, the ripples in the water you see resulting from the rock, and the noises the water makes as it edges by. Inevitably, thoughts or feelings not based in the moment will continue to present themselves, but you choose to let those thoughts float on by, allowing you to continue focusing on the present. The more you practice mindfulness in this way, the more skilled you will become in experiencing the moment for what it is. Doing so will help you experience less stress over time and a quick way to find restoration throughout each day. Try out this mindfulness exercise at an area around Bend where you find peace and comfort. Begin by focusing on the sounds or the sights at that place. Sit and listen. Sit and observe. Acknowledge your thoughts and emotions that emerge, but do not engage them. Let them float on by, and open yourself to experiencing all that Central Oregon has to offer. I just heard today that Bend Life magazine is no longer in publication. I appreciate being able to share some of my knowledge and experiences with the community of Bend in that outlet in my monthly articles. I am looking for another local publication outlet where I can continue to get the word out about the health benefits of nature. Hoping to find one soon! I will begin posting my Bend Life articles in the next month or so on my Blog. Hoping that some folks who were not able to view the articles in the publication will be able to see them and benefit from them here. 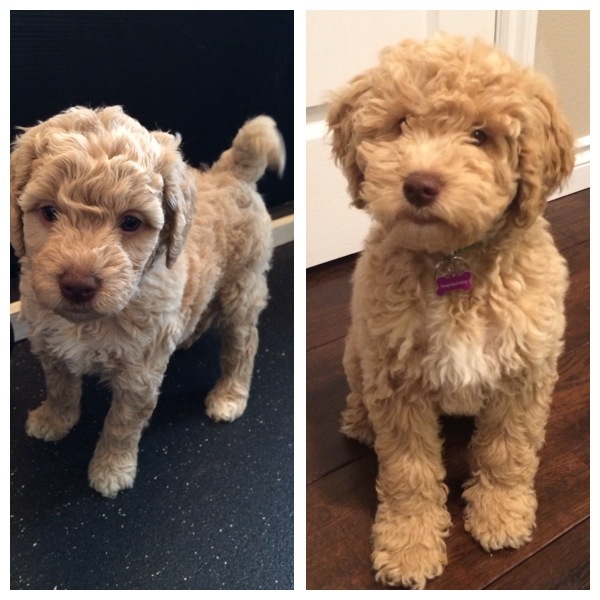 Meet Bristol....at 6 weeks....then at 16 weeks. My has she grown! Bristol exploring the Deschutes Trail for the first time. Beautiful steelhead...a big one at that, though it was challenging to get a good photo before releasing. One of my favorite sections of river....just beautiful! I was part of some talks recently that included the topic of "values." Anytime values are discussed things typically get heated if people are being honest or typically things fall silent if folks aren't being real with each other. Or, too many people share the same values in a room and additional perspective should be gained if important decisions are to be made on behalf of a diversity of individuals. The values that came up in the discussion were all around Central Oregon and its nature-loving image. Everyone here in Central Oregon apparently love to ski, kayak, fly-fish, trail-run, mountain bike, be energy-friendly, be laid back, drink good beer, and bleed innovation. Ask anyone, right? Well, maybe. If I am not mistaken any of these activities cost money. To get to the mountain or take a drive anywhere in Central Oregon you've got to fill up your energy-efficient hybrid before you head out. And, if you don't own a hybrid, or if you don't own a car at all, well, one can be a little stuck. Without question consistent contact with nature has huge wellness benefits. And, without question, a lack of access to natural resources has negative effects on human wellness. So what's the big deal? Well, around 11% of the population in Central Oregon live at or below the poverty line (partnershiptoendpoverty.org). While this statistic remains below the national level (15%), it doesn't change the fact that 1 in 9 individuals are poor in our region. Although dated (2009), this same resource also reports that nearly 2237 people (including 876 children) in Central Oregon were homeless. I wonder if these same folks back in 2009 were able to benefit from Central Oregon's amazing nature-based culture. It's possible, but typically when one's basic needs are not met, people can't focus on anything else other than surviving. So, what do we do? I don't claim to know the answer to that question; I just think it's important to acknowledge that not everyone has the privilege (or luxury) to live and value the stereotypical Bend lifestyle. I think it's also important to let visitors know our reality: while we may have one of the most beautiful regions in the country and we have a unique, fun culture, we have just as many challenges as other cities with poverty. Let's not forget the needs and values of ALL our population here in Central Oregon; together let's find ways of promoting those voices that are often under-heard and under-valued. With the fall season in full force and all of the leaves turning (at least here in Central Oregon), take it upon yourself to check out your surroundings. In particular, be intentional with your view at work, school, or home. The research is pretty clear: views of nature outside your window can enhance your focus/concentration and reduce stress. Some researchers have even found that a view of nature makes us more friendly with one another. Cool huh? Don't have a readily accessible view of nature? Be creative and strategic. If you can't spend your entire day with a view of some sort do what you can to have at least 30 minutes of a nature view. Or, if you took some great pictures over the weekend create a slideshow and put it on during lunch. Or, in an ideal world...spend 30 minutes outside each day, admiring the nature that is all around us. Spending time appreciating your surroundings and the things you feel good about in your life can make a big difference in mood and outlook. I recently returned from a brief weekend fishing trip to the Nestucca River on the Oregon Coast. I was in search of some beautiful chrome summer steelhead. The fish (sea-going rainbow trout that live a similar life cycle of salmon) are beautiful. There is something about steelhead that is mystical and somewhat elusive. They hatch in freshwater streams, live in freshwater for a year or two, and then migrate to the ocean. They essentially disappear when they go to the ocean. Some venture north to Alaska in the Bering Sea and some might stick around the Pacific. Who knows. Then, after one to several years, these fish return to their home waters to spawn. I especially enjoy fishing for steelhead in rivers where you can see to the river bottom. If there is a fish in the pool, I typically can’t see them. After staring into a pool for some time, I might spot a gray “ghost.” They blend right in to their surroundings. If and when I hook and land a steelhead, I marvel at the lifespan of the creature. From all the fish that originally hatch from the mother, only about 1-2% of those eggs will actually complete the life cycle (e.g., go to the ocean then return to the river to spawn). It’s incredible. I feel so lucky to have interacted with the fish I find it difficult to keep one. So, I rarely do. Well, I fished an evening and a morning, and I didn’t have the chance to contemplate whether to keep or let go the silver-sided steelhead. I got skunked. But, I had a great time reconnecting with nature and reconnecting with my self throughout the process. After fishing one night, I had the opportunity to find a camp site at 10pm on the upper Nestucca River. Pitch black. I had never camped up there, but I knew there were a few spots. I arrived to the first campsite and the place was full. So, I trekked up the road further. Sure enough, I found another camp and several car sites were still available. I hadn’t brought any firewood and I had intended to set up my tent, tie up some fishing rigs for the next day, and hit the sack. Well, it was pretty dark and my headlamp was dying down a bit so I figured I may have to rely on my car’s headlights. I needed a piece of wood for one of my tasks so I jaunted over to a vacant neighboring campsite. I noticed in the site’s fire pit a few remaining embers from what must have been left over from the previous night. And, the thought hit me: why don’t I take these coals and try to get some wood lit at my camp site? It took several trips, but I managed to bring several of the coals over to my site’s fire pit. Then, I began to forage for some firewood. I found some large logs and a few smaller pieces of kindling. In a matter of 30 minutes I had a full-fledged fire! Enough light to set up my tent, keep warm, and tie up my fishing rigs. Maybe you had to be there, but I found this to be an incredible experience. To find some coals and to create a booming fire from them was pretty special. It reminds me of working with my clients, and in particular children and adolescents. I find that sometimes parents and guardians have had it with their youth. Counseling is sometimes viewed as the last resort because the ‘fire’ within their youth seems to have extinguished. It’s my belief that the coals are still lit, but you have to search for them. The coals represent your child or adolescent’s strengths. Sometimes we get so wrapped up in the not-so-pleasant aspects of our kids (a.k.a. weaknesses), we lose sight of the things our youth feel best about. I see it as my job to help you and your youth regain sight of those strengths and to find creative ways to ignite a larger flame, infiltrating all aspects of wellness. This process isn’t easy. Change never is. But, the idea of nature cuts through the core, and I believe my unique approach to helping can get you and/or your youth there faster. The embers are there, waiting to be fueled. Take the risk, whether it be with me or another practitioner, to get that fire booming once again in your loved one’s life! p.s., It was cool I found those embers. But, it’s also a reminder of how important it is to dispatch your campfire when you are done with it! Help prevent fires so our community can enjoy the forest for millennia to come!